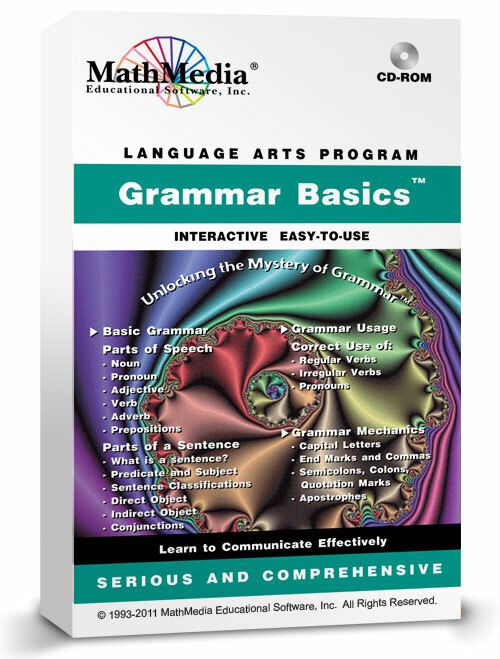 This addition to our Language Arts programs, is serious and comprehensive. The MathMedia Grammar Basics® program emphasizes the language skills that will meet the student's present needs in writing and speaking and also provide a foundation for more advanced language courses and foreign language courses. Learning the fundamentals of English grammar and usage are necessary for proper writing and speaking. 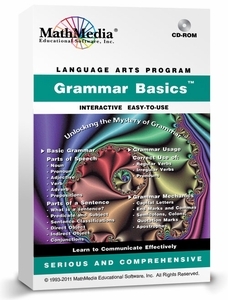 This program, therefore, stresses the important basic grammar and usage skills.